OF RUMOURS LIVED AND TOLD- ANN CORREA. Ann Lynn Correa is currently employed as a PhD scholar at the Department of Philosophy and Humanities, Manipal University, where she studies post-war British women’s literature. A writer of poems, short stories and memoir pieces, she hopes to capture in stories the strife and confusion inherent in people’s lives. The themes she has focused on deal with the strange lives of Roman Catholic nuns in her family, the roots and effects of youthful bravado and angst, the crushing dawn of reason in young adulthood and coming-of-age tales, precociousness in love and friendship, anxiety and ambition. The underbelly of cities fascinates her, as does the mundane middleclass penchant for drama, good marks, neighbourly gossip, rumours and caricaturing the lives of smothered souls. Ann was long-listed for the Toto Funds Arts, Creative Writing Award in 2015, for her short stories. Singing, painting and badminton remain her hobbies. BLURB– • On a lazy Sunday afternoon, after a lunch of succulent pork and chilled beer, Andrea settles down with her uncle and aunt to retell family stories of Akkai, a Roman Catholic nun (and Andrea’s great-aunt), who died under mysterious circumstances. • This gets Andrea thinking about the lives of the other nuns in the family – like bold and brassy, salsa-dancing great-aunt Deidre, who left the convent to be the Principal of a college; others soft and steely like Akkai and the don-like Stella Marie, a nursing superintendent. • Andrea realizes these women have played a large part in the architecture of her childhood in the Mangalorean Catholic community of Bangalore. • As she talks to family members about the nun-aunts, Andrea unearths some peculiar and quirky aspects. Through whispered stories in the family, she comes to appreciate the porous convent walls the nun-aunts and the family navigate. • But she also encounters unexpected reticence from some of the family, whose memories of the nun-aunts are somewhat differently textured. • This richly human memoir tells the story of how a young girl finds her way through a flood-tide of recollections and emotion to navigate the tricky shoals of family ties, in an effort to bring closure to the family past. MY VIEW- the book has a beautiful cover and title to begin with. as you can see from the title you may feel. it will revolve around nuns and their lives. this story is about andrea, how her life is formed around the nuns in her life. the things nun have to go about to survive. it is their part of their story. the book has a normal paced flow of the story and beautiful way of narrating it. the book is a short and thoughtful read. Her great aunts Akkai, a Roman Catholic nun & Deidre an ex-nun are two main nuns who she admired & has written the story around. the author has beautifully put up the book. and you should definitely give it a read! 4. The participant will have to comment in the comment box of Colors of Life blog. In the comment plz mention name and author od the book, and note that includes your views and expectaions from the book. 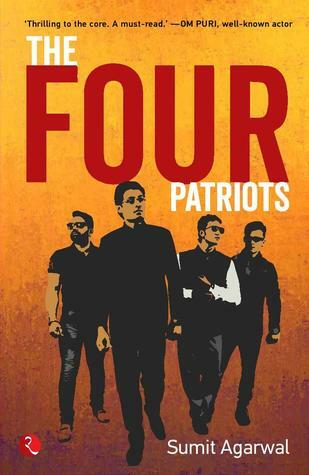 Book Review- Four Patriots by Sumit Agrawal. A graduate from IIT Kanpur, Sumit Agarwal is a successful businessman. He is also a music composer, lyricist, singer, actor and writer. His music videos can be viewed on his YouTube channel, or on his website http://www.sumitagarwal.net. MY VIEWS ON THE BOOK- firstly a signed book! (yay). the author has brilliantly put the book up – with an amazing story, beautiful use of words and way of narration. i really like the cover ! how it looks like a youtube series and yes, the book is somewhat just like that! keeping the reader glued till the end! Giving an insight of changes that can take place. A strong message has been put up! A lot of issues have been pointed up and how we can tackle it is also given. Doesnt seem like a debut book! it is way too awesome! A thrilling read, that shouild be read by everyone, also by people who love to read about patriotism.It is a different read and amazing. The book does not dissapoint you at all! Politics- drama it has all that should be in there as suggested by the title. overall i rate it an 4/5. They say what kills you makes you more stronger. This story is one of those. It is always our choice to take – to be stronger or to be crushed by the event. It depends on the circumstances and the hope that revives in our heart. 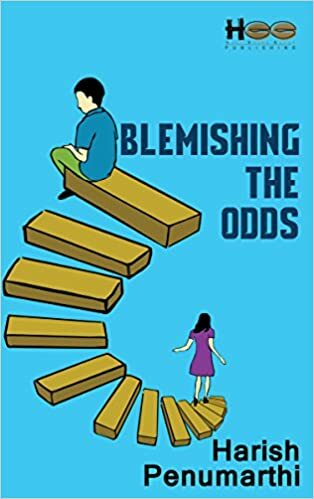 This story is about raghav how a boy who never did anything right makes everything right under the pressure of responsibilities. how falling in love also- changes him. Blooming with love and growing. This book is a light read and amazing to get back to our childhood days. The way it is narrated is in a very good flow and is amazing. The cover is nice supporting the title. Overall it is a good book. starting from the cover- it is interesting, full of mosaic of emotions and showing the inner demons of humans. the title is apt and supports the book throughout. the book is really amazing, voking in different emotions. searching for meaning in his life. and this book is a little slow paced but full of different conditions in his life. putting in light to his life and making him understand things. the words are easy to understand and overall the book is a different story to read.